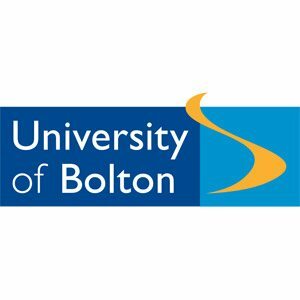 Applications are invited for a PhD studentship, available from 1 November 2012 in the ‘Fire Materials Research’ team based at the Institute for Materials Research & Innovation (IMRI) at the University of Bolton. This project, in collaboration with Great Lakes Solutions (Chemtura Corporation, USA) aims to develop novel polymerisable surface coatings for polymers and composites using flame retardants capable of delivering action both in gas and condensed phases in a controlled manner. Applicants should possess at least a 2.1 Honours degree in Chemistry, Chemical Sciences, Polymer Science, Materials Science or related discipline, or an MSc in one of the above, combined with good practical skills in materials handling and/or preparation. IMRI has a strong national and international reputation, and is supported by access to state-of-the-art infrastructure including materials processing and flammability testing facilities, clean room, nanomaterials characterisation, textiles and composites laboratories, complemented by a suite of materials modelling capabilities. IMRI has an established track record of funding for collaborative multidisciplinary research activities and facilities from HEFCE, Research Councils (EPSRC), TSB, EU and industry sources. Regionally-funded collaborative activities are performed through the Northwest Composites Centre and Knowledge Centre for Materials Chemistry (KCMC). KCMC and its partners will offer active support to the Studentship where appropriate. The PhD student will be working closely with other research students in IMRI and will report periodically to Great Lakes Solutions who are one of the World’s major producers of flame retardant chemicals. Prospective candidates can contact Professor Baljinder Kandola (email: B.Kandola@bolton.ac.uk) or Professor A.R Horrocks (email: A.R.Horrocks@bolton.ac.uk) for an informal discussion relating to this opportunity. Closing date for applications is 17 October 2012. A microencapsulated flame retardant with a melamine-formaldehyde shell was prepared by in situ polymerization, then incorporated into an iPP matrix with a coupling agent to manufacture multifilament yarns by melt spinning. The influence of the post-treatment on the resulted microcapsules with an alcoholic solution was also studied. The spinnability of these formulations based on the interface characterization from contact angle measurements, tensile test and thermal characterizations was explored to determine the maximum draw ratio (DR) to apply. Finally, knitted fabrics were processed from multifilaments, and their flame-retardant properties were evaluated by performing fire tests according to the FMVSS 302 and Din 4102 part B experiments. The different mechanical and thermal behaviors were discussed in terms of the influence of the DR and the post-treatment applied on fibers during the spinning process and during the recovery of the microcapsules, respectively. The results showed that it was possible to obtain multifilament yarns with a DR of 4, but the best properties were obtained with a DR of 3 and for un-treated microcapsules. Furthermore, the samples containing un-treated microcapsules reach a B rating at the FMVSS test with a fast flame progression and a very low duration of burning. September 17, 2012 – (Chelmsford, MA) FRX Polymers® announced that the company has launched a new brand for its flame retardant polymer product line. The new brand, Nofia™, and its corresponding logo reflect the company’s commitment to developing highly innovative and unique flame retardant products for the industry. FRX Polymers’ new brand is being launched to coincide with the ground breaking of its first commercial plant on September 20, 2012. The name, Nofia™, embodies both the company’s New England roots, as well as its products’ superior flame retardancy. Nofia™ products are tough, transparent, possess high melt flow, and are being sold in consumer electronics, construction, and transportation markets as polymeric flame retardant additives, flame retardantengineering plastics, and as reactive flame retardant additives for thermosetting resins. “We are very excited about our new brand name,” said Marc Lebel, President and CEO of FRX Polymers. This article Was published in Journal of Materials Chemistry, 12 Sep 2012. Graphene is promising for fire safety applications of polymers, but the ease of burn out limits further developments. A novel strategy based on functionalized graphene oxide (FGO) is developed to overcome this challenge. Graphene oxide is functionalized with char-catalyzing agents and reactive compounds and incorporated into polystyrene. When FGO/polystyrene composites are degraded or burned, FGO catalyzes the char formation from polystyrene (Char A). Char A protects FGO from burning out and then FGO acts as a graphitic char (Char B). Because of the combination of Char A, Char B, physical barrier effect of FGO, and strong interface interaction among FGO and polymer, the fire safety properties of the FGO/polystyrene composites are improved, including decreased peak CO release rate (66 %), decreased peak CO2 release rate (54 %), decreased peak heat release rate (53%), decreased thermal degradation rate (30% decrease), decreased total heat release (38% decrease), and increased char formation (7 times), etc. This strategy combines several condensed phase flame retardant strategies such as nanocomposite technique, intumescent flame retardant systems and phosphorous-nitrogen synergism systems, and hence results in more significant improvements as compared with prior works. The main objective of the workshop is to bring together people that are working in the field of flame retardant substitution. Due to their persistent nature and toxicity some brominated flame retardants (BFRs), applied in a wide range of commercial products, need to be substituted by non-toxic substitutes. The workshop will focus on the substitution chain starting with the prioritization and selection of viable flame retardants, fire and product performance, to hazard characterization and exposure assessment, and finally to risk assessment and impact assessment. The workshop will also present and discuss findings obtained by the European 1st Announcement Union funded project ENFIRO, which has studied viable alternative flame retardants.